May is National BBQ Month and New York got the memo! A few weeks ago we had snow on the ground – today the high is expected to be 85 degrees. Definitely BBQ weather! If you plan on grilling this season, you need to stock up on what I think are the best sauces, marinades, and rubs around for any meats or veggies you plan to grill – Stubb’s Legendary Bar-B-Q. I’ve been using Stubb’s sauces for a couple of years now. I love the flavor they add to our meats and veggies, and I love the variety they offer. My kids are big fans of the traditional Bar-B-Q sauce, while I’m a big fan of the Sticky Sweet. My husband and I both love the Hickory Bourbon sauce, and just typing all this is making my mouth water! Stubb’s sent me coupons for free product for this review and I made sure to pick up all of our favorites while at the supermarket. Whatever Stubb’s sauce you choose, you can’t lose. All of them we’ve tried have been absolutely fantastic. I’m looking forward to all the barbeque’s we’ll have this summer and Stubb’s will be a part of them all. If you can’t get out to grill, I suggest pouring some Stubb’s Bar-B-Q sauce over frozen chicken breasts and let them simmer in a slow cooker for a few hours for a delicious meal. If you don’t eat meat – try Stubb’s on squash and zucchini on the grill, or even shrimp and fish. You can feel good about adding Stubb’s to any dish you make – Stubb’s using only the finest ingredients in their products and they are the only nationally available BBQ sauce brand to carry they Gluten-Free Organization Certification. They don’t use High Fructose Corn Syrup (which if you check the labels, most other brands do), and they are working with the Non-GMO Project to verify their line – which I think is a HUGE statement to their commitment to quality. Around since 1968, Stubb’s is the creation of West Texan C.B. 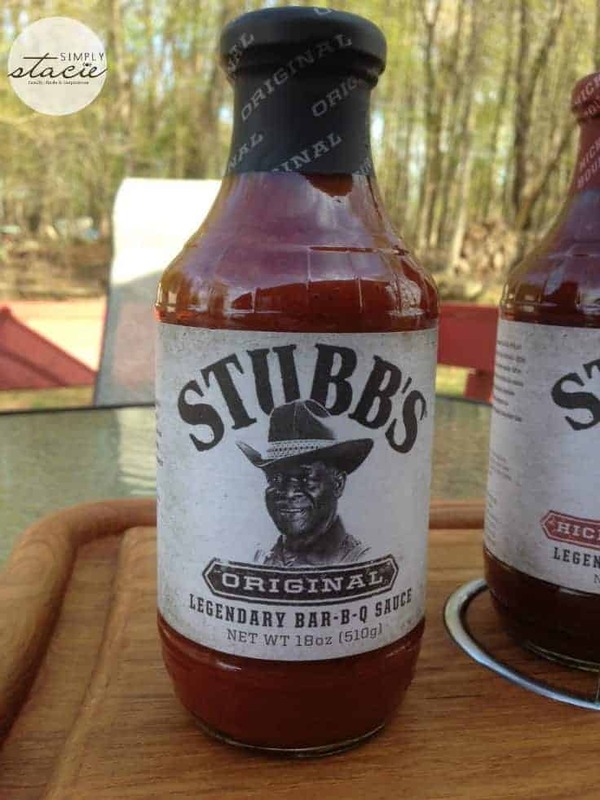 “Stubb” Stubblefield who lives and cooks with “love and happiness” and has grown the Stubb’s brand from one sauce to the multitude of sauces, rubs, marinades, and more that the brand offers today. To see all they have to offer, check out their website. You can also find Stubb’s on Facebook, Twitter, Pinterest, and Google+. I would like to try the spice rubs. I would love to try the Honey Pecan. I’d try the spicy sauce.. I would like to try their Sticky Sweet Bar-B-Q sauce. I’d like to try sticky sweet. I’d like to try their Sticky Sweet Bar-B-Q sauce. I would like to try the Stubbs Cookin’ Sauces. I would like to try Stubbs Sweet Heat. I would love yo win free sauces we love to grill and always looking for something new to love and brag about. 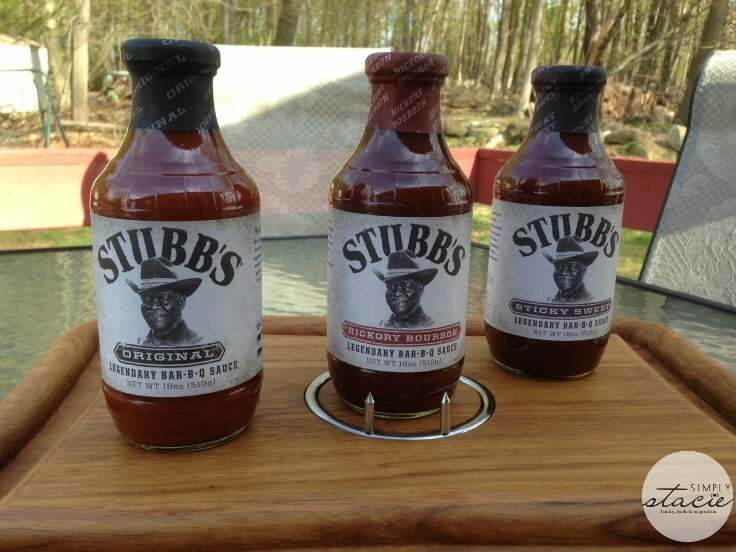 Thank You for the giveaway… we would like to try Stubb’s Spicy BBQ Sauce ! I like the Hatch Chile Cooking Sauce the most of all of the Stubb’s products. I would like to try the Honey Pecan Bar-B-Q Sauce!